Style posts aren’t always my go to. I, on occasion, am a big fan of my own personal style but on other days I just want to completely bin my wardrobe and start again because I hate everything. It’s no secret that I lack self confidence due to the way I think I look but this summer, I’m vowing things to be different. 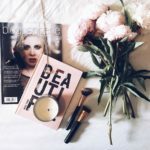 I’m hoping to finally get a grip of my weight and what I’m eating this summer but that story is for another post. The heat can be a bit of menace if you are on the chunky side like me. Chafing is the devil’s work, denim shorts are my arch nemesis and the heat makes me sweat in places I didn’t even know possible. Overshare? As I’m now spending this summer in the UK where the weather fluctuates between freezing cold, bracing winds and melting hot, it can be a little bit difficult to predict what you need and when. As I’m trying to condense my wardrobe down and find my own personal style that feels truly me, I don’t want to buy many new pieces this summer. 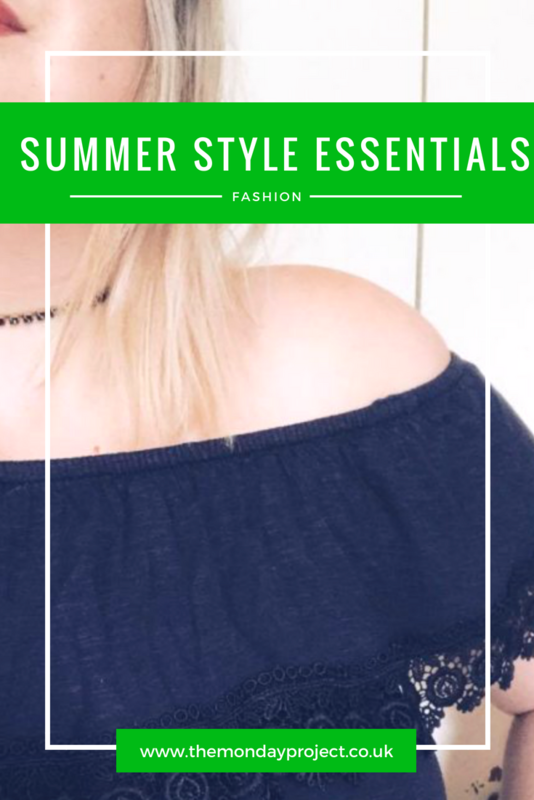 Whilst I’m still navigating a lot of that, I think I’ve found six keys things which I need in my wardrobe every summer and well, you all need them too. Oh, the humble bardot. Everyone needs something with a bardot neckline in their life. Screw just in summer, all the damn time. 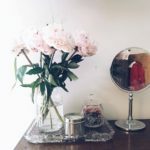 My absolute favourite piece is a simple shift dress in a floral print with a ruffle bardot which I picked up from ASDA last summer before my trip to the Caribbean. I love it because I don’t need to wear a bra. That is one of the best things about bardot – you often don’t need to wear a bra which is divine in sticky summer heat. Bardot tops are also super cute – they add a little something extra to shorts or a denim skirt. I have a couple, a neon yellow number from Topshop which I simultaneously love and hate and a navy ruffled bardot from ASDA. Seriously, ASDA was killing it last year and from what I can see in my local store, Sainsbury’s is killing it this year. Whilst sandals are always a go to in summer (obviously), I’m also a fan of espadrilles. I previously owned a white faux leather pair which I picked up in a Dorothy Perkins closing down sale for £4 last year but they broke during a mini April heatwave earlier in the year. I’ve since replaced them with a similar fabric pair from La Redoute which I snapped up in one of their amazing 40% off promotions in May. Espadrilles make any outfit a little bit more pulled together and cool than simple sandals but are still super comfy. This is a trend I’ve only recently jumped on board with and sheesh, why did I wait so long? One of the best things is that people can’t really tell when you are looking at them which is always a bonus when people watching. I have a really pretty pink which I picked up from Ebay in December and a tortoiseshell pair from Primark which I picked up in London in April. They are both pretty different styles despite the mirror aspect so work with a whole host of different outfits. Sunglasses can be so so so affordable and add a little extra to any outfit – whilst protecting your eyes from the sun obvs. Denim shorts are a foe of mine – I’m yet to stumble across my perfect pair so I think I’ll just give them a miss for this year. I’ve been wearing a lot of fabric shorts from Boohoo which are super comfy but don’t have the same pulled together look as a bit of denim. Instead I’m substituting with a denim skirt. Mine is a black denim one from New Look which I think I bought last year. It can be a little tight when you first put it on but it loosens out as the day goes on. Denim skirts can be worn with anything: tees, camis, shirts, blouses, hell your bikini top if you want. Sometimes your feet just can’t take any more sandals (or espadrilles) or perhaps you need a sturdier shoe for a long day. I often find solace in my white Vans or black Converse. Both are super comfy and worn in so blisters are non existence but aren’t too heavy on my feet so don’t add lots of heat. Both go with light summer dresses or denim skirts or jeans if slightly chillier. Only issue is they do sometimes smell a little bit if you wear them without socks all the damn time (guilty!). Summer is the time for wearing white. Unless you are going to a wedding and you are not the bride, then it ain’t cool. Again, I find ASDA to be an absolute dream when it comes to gorgeous white dresses and I recently got to wear a new one of mine to a friend’s 21st. White is the ultimate summer colour as it compliments any tan (real or fake like mine) and ultimately makes you look fresh and carefree.